Make your learning a conversation with others! You have watched the video on mollusks. You have taken notes from the lecture. And you have dissected both a clam and a squid. Now you must take the information and your studies of the mollusks and write an analysis, a conversation of what you learned. This analysis must be posted on your marine biology blog. Write your analysis as a discussion or a story. Please do NOT write your analysis as a list of answered questions, even though you have been given a list of questions. The questions below are meant as a GUIDE for your discussion. Insert the answers into a story of your investigation into the world of mollusks. You will be assessed on 1) knowledge of the subject material; 2) describing the material in your own words and in an interesting manner; and 3) personal contribution to the topic. And please provide illustrations, with citations. What is the morphological feature of molluscs after which the phylum is named? What are the biological troubles that molluscs face due to their soft body? Into which classes are mollusc divided? What are some representing beings of each class? Is there any body symmetry in the animals you dissected? Describe it. Describe your notes about any textures, shapes and other observable qualities in the animals you dissected. What is the function of the clam’s mantle? How does the locomotion of the squid and clam compare? Why do you think the squid and the octopus have camouflage, whereas the bivalves and gastropods do not? Compare the feeding methods of bivalves and gastropods. Of bivalves and cephalopods. What organs are present in both human and mollusc bodies? Describe the special adaptation that mussels have for surviving strong wave action along the shore. Why is the octopus considered to be so intelligent? What are examples of the ecological and economic importance of molluscs? This semester in Marine Biology, we learned about Marine Biology and their habitats. In Marine Biology we dissected a clam and a fish so that we could see what their insides looked like and to look at similarities of other fish along with their reproductive system. We looked at sponges, reefs and all sorts of things that live in the ocean. In the class we learned what certain fish eat and who is the prey and the predator. This semester the class got to go to Connecticut to an aquarium where we got to learn more about water animals. There were a lot of different marine animals that we saw and learn about. The class did blogs and glogs on different animals that we saw at the aquarium. We did a couple projects pertaining to the animals and water lands and a lot of other things as well. My final project was on wetland estuaries and I learned that they play a very important role in the environment. They serve as breeding grounds and habitats for animals. Wetland estuaries serves as human, controlling floods and erosion, absorbing carbon dioxide as part of biogeochemical cycles. A strength that I had in Marine Biology was paying attention on the days I showed up. The best part about Marine Biology was going to the aquarium because the whole class had fun and we learned a lot of things and we didn’t think of it as learning. Everything that I learned this semester will be very useful to me in the future because I want to become a Zoologist and work with all kinds of animals and their habitats. As a marine biology field trip, we embarked on a journey to Connecticut’s Mystic aquarium. 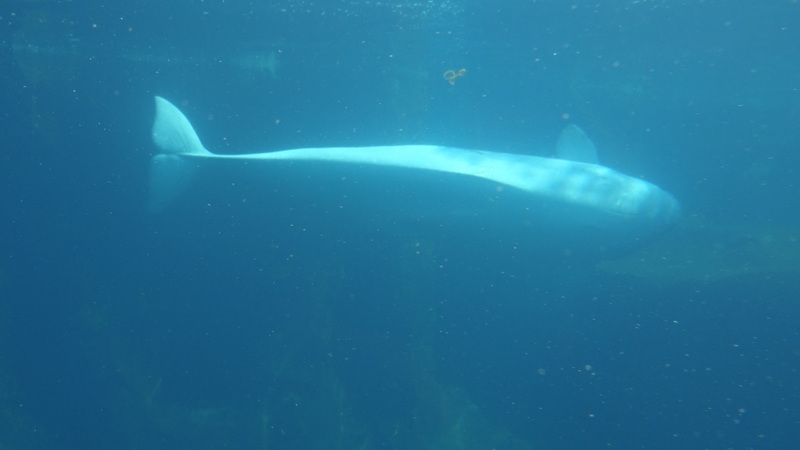 While the field trip was short and the bus ride was long, I was really interested by all the animals we encountered.The marine animal that stood out most to me were the beluga whales. There were an array of animals that stood out to me, I found these the most fascinating and surreal. They seemed to have personalitites of their own. I also found the sea turtle very interesting; he spent most of our visit on his head in the tank he was in.